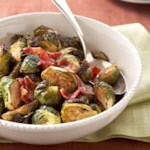 Look for small Brussels sprouts for this quick and easy vegetarian recipe, which provide bite-size nibbles for your guests. 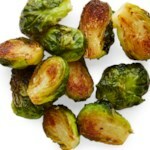 If you can only find large sprouts, cut them in half for more manageable bites. Preheat oven to 425°F. Line a large rimmed baking sheet with parchment paper (see Tip). Bring 2 inches of water to a boil in a large pot fitted with a steamer basket. 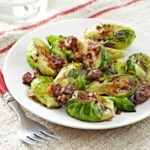 Add Brussels sprouts, cover, and steam until tender, 5 to 7 minutes. Transfer to a paper-towel-lined plate and pat dry. Lightly beat eggs in a shallow dish. Stir panko, Parmesan, garlic powder, salt, and pepper in another shallow dish. Roll each sprout in egg to coat completely. Allow excess to drip off, then roll in the panko mixture to coat completely. 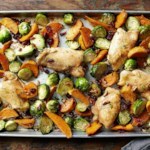 Place the sprouts on the prepared baking pan with space between them. 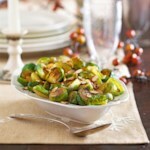 Coat the sprouts lightly with cooking spray. Bake, turning once, until golden brown and tender, 15 to 18 minutes. 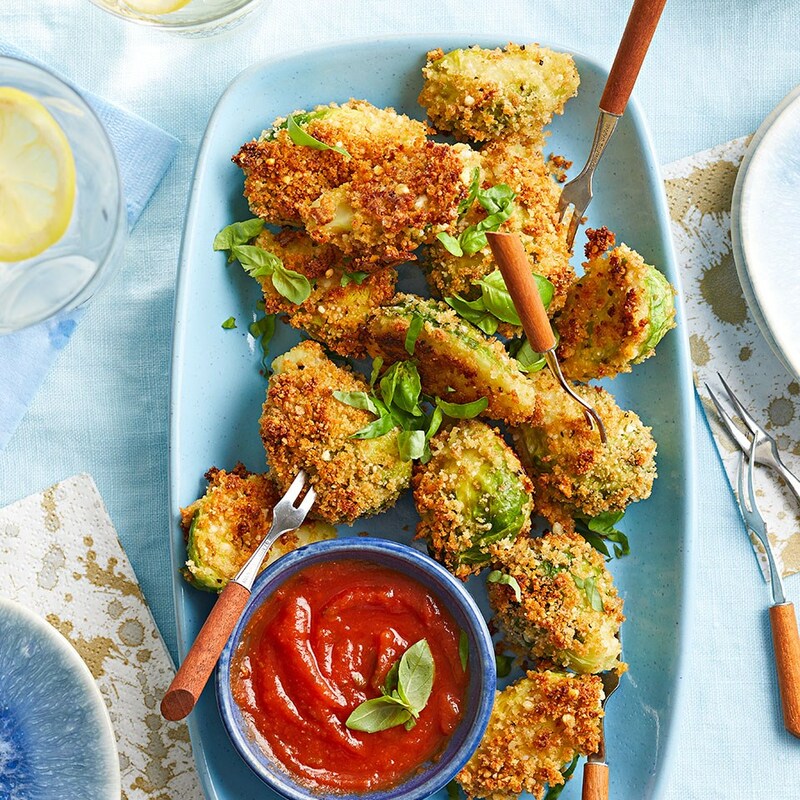 Serve with marinara sauce for dipping, if desired. 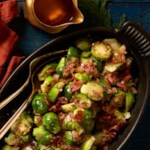 Tip: If you are using large Brussels sprouts, you may need to use 2 large rimmed baking sheets to avoid crowding the pans. Bake as directed in Step 4, switching the pan positions halfway through. To make ahead: Steam sprouts (Step 2); cover and refrigerate for up to 1 day. To serve, continue as directed in Steps 3-4, adding 1 to 2 minutes baking time if needed.